KATHMANDU, March 27: A total of US $ 70 million has been disbursed by the European Union (EU) for various ongoing projects but there are hardly any infrastructure projects that can help in capital formation. Most of the projects are in the 'soft sector', including awareness generation, peace-building, human rights, good governance and capacity building, which are are hard to measure, according to an analysis of information retrieved from the aid management platform. The platform is an online system for managing aid received from development partners. Commenting on this trend, former bureaucrats say EU projects are not designed in line with the priorities of the government of Nepal and there is no mechanism for carrying out pre-consultations for project selection. Projects are designed and selected by bureaucrats who are acting under influence, or the EU gets the projects approved directly by the PM's office and even constitutional bodies. Talking to Republica, former foreign minister Prakash Sharan Mahat said he had repeatedly stressed to EU delegations in Kathmandu and also during a meeting in Brussels to provide meaningful infrastructure projects that make a real impact. “But they have not listened to our demands. 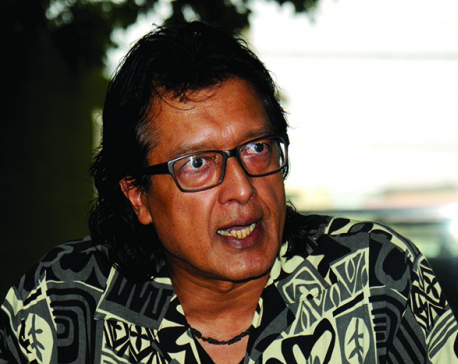 A few other development partners are also doing the same,” said Mahat. 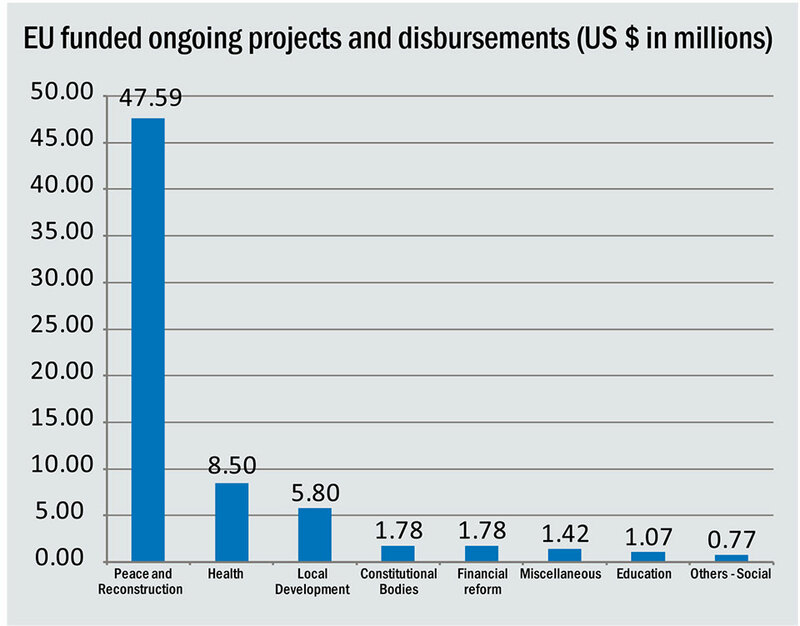 Three-quarters of EU's funding flow to Nepal comes through government channels while the remaining portion is spent on their own, mobilizing various INGOs and NGOs. “Consultation meetings for project selection are fundamental for mobilizing development assistance but the EU in Nepal does not follow this even as several other bilateral partners are following the practice of holding consultation meetings for project selection,” said Rameshore Khanal, former finance secretary. “So far as I remember, it had floated a proposal for financing the Sikta Irrigation Project but it was dropped as the project also dealts with India,” he added . Khanal said EU does not have a window for providing loans and all fund flows are grants, including a significant amount in technical assistance. EU has provided a total of US $ 3.65 million as technical assistance to Nepal in FY 2016/17. Former government secretary Krishna Gyawali said, “We often ask them to help us bring investments from the Erupean Investment Bank but this has not materialized yet. Nepal has so far only received a small loan investment for the Tanahu Hydropower project. Gyawali, however, noted EU's few engagements such as projects for drinking water and education . On the other hand, the EU has landed in political controversy in Nepal while carrying out different projects. The EU was dragged into controversy for providing grants for instigating ethnic issues during the writing of the constitution.